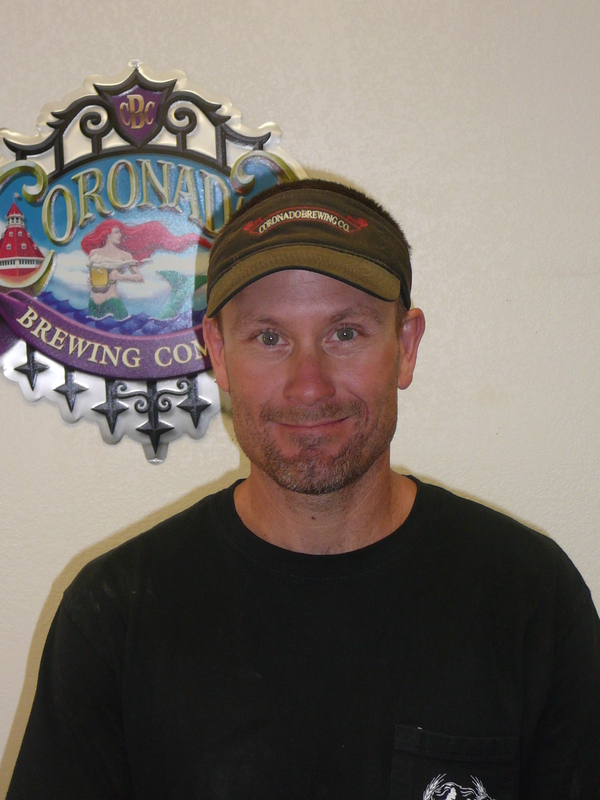 Local guy makes good at Coronado Brewing Co.
One of the great things about San Diego’s craft beer community is how approachable even the most successful brewers often are. And many of the long-time brewers are from San Diego, so it’s really a homegrown affair. In recent times, San Diego Mayor Jerry Sanders, through Brewtech, and Assemblyman Nathan Fletcher, through tasting room legislation, have really supported this exploding San Diego industry. The local Brewer’s Guild is a cool group that helps support the craft beer industry in San Diego and I recently sat down with its President, Shawn DeWitt, co-owner and Director of Brewery Operations at Coronado Brewing Company. Here’s his take on being part of the local passion. “Brewing beer on the island where I grew up is pretty darn cool since I used to collect cans in the alley where the brewery now sits,” DeWitt told me. His statement rang true to his easygoing, unpretentious demeanor. “I got into the business by being at the right place at the right time. I was working at a Cafe in Coronado in 1994 when the owner of the cafe came to me with the idea of starting a brewpub in our home town. I thought the idea was great and ran with it.” It’s a bit modest to chalk it all up to luck, of course, as Shawn and the team of two sets of brothers has put in many 12-16 hour days and even now he usually heads in to work before the sun comes up. Shawn is the President of the Brewer’s Guild in San Diego and he notes that to be a craft brewer is to be quite passionate about the job and loving what you do. Embracing the fun side of brewing, he noted “there is a lot of creativity with being a craft brewer.” He told me the funny story of how they named their Idiot IPA, which is a solid beer that appeals to many “hopheads.” If you see him next time you drop by Coronado Brewing Company, be sure to ask him about it. As for the Brewers Guild, it is a collection of craft brewers in San Diego working together to promote and create awareness of locally brewed craft beer. That is done by doing beer festivals, pint nights, and beer dinners. The Guild is often instrumental in helping new brewers get started, networking on purchasing and shipping. It is truly a collaborative effort that makes San Diego craft brewing what it is today. There are a number of great news and information sources related to local craft beer. One good one is co-owned by the son of a long-time publisher in the area–The Westcoaster. Cheers.